When you see the certified Jasper installation sign, you’re seeing a valuable and prestigious affiliation. Jasper Engines and Transmissions only aligns themselves with quality mechanics and auto repair facilities. 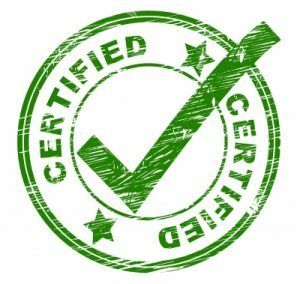 In order to be a certified Jasper installation garage, every repair shop must meet the exceptional standards Jasper has established. We are proud of our affiliation with Jasper Engines and Transmissions. All of their products, including remanufactured engines, transmissions and differentials, adhere to strict remanufacturing guidelines. That’s why they are able to back it up with such an incredible warranty. Jasper Engines and Transmissions has over 1700 Associates and 41 branch and distributor locations, nationwide. Out of this pool of associates, an elite few are selected to serve on the Customer Advisory Council. Out of over 1,700 associates, our very own Bryan Davis has been selected to be a part of the current Customer Advisory Council. What a huge honor! Bryan is glad to contribute insight from the expanding knowledge and growing experience B&M Auto Specialists has as a certified Jasper installation repair facility. If you’re in the market for a remanufactured engine or transmission, we hope you’ll only have two thoughts… Jasper and B&M Auto Specialists. Give us a call today. We’ll be glad to answer any questions you may have.